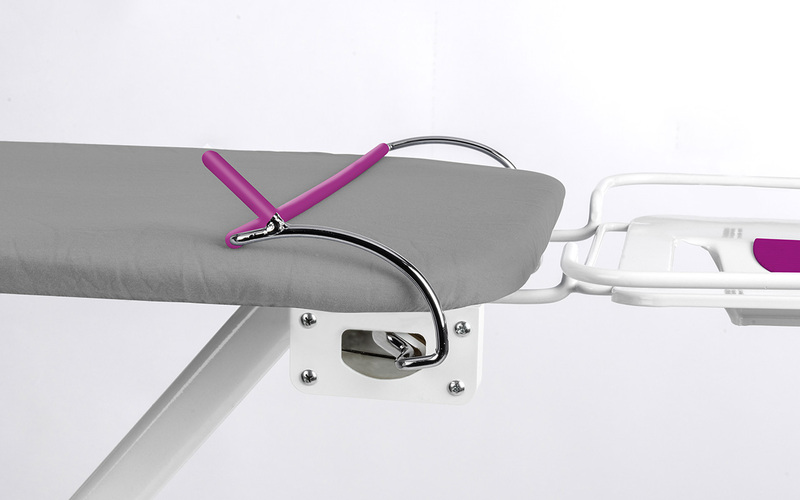 The ironing board “Dritte Hand” is an innovation, which convinces with its functionality. The ironing board gets its name from the clamping bracket, which keeps the piece of laundry safely. Thus, the user can iron much better; also, creases become more exact. The bracket is made of metal; silicone covers prevent overheating and possible damage to the laundry. If the third hand is not in use, it can be folded up easily.